The movie opened on 2800 screens throughout the India and around 355 screens in the overseas market. The global share mostly comes from countries like USA and Canada. However, since the past days, UAE is also performing a significant role in earning of Bollywood movies. On the opening day, Film opened with around 30% occupancy in the theaters with a positive response from the metros. However, the romantic action movie touches the high level of 15.51 crore rupees in a single day on first Sunday. 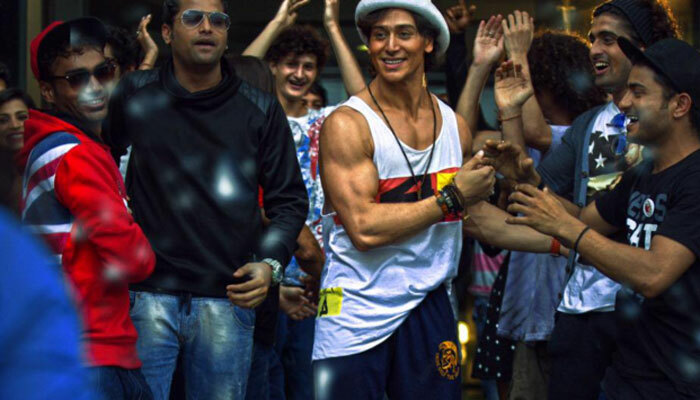 Baaghi collections for the 7th day, Friday were around 5.38 crore rupees. The five cities namely, Delhi, Mumbai, Lucknow, Kolkata and Bengaluru, were better than many other counting the viewers coming to the cinemas to watch the film. Baghi film had done a total business of 70 crores approx in the domestic market and 17 crore in the international market, which totals the collections to 87 crores. Made with a budget of 47 crores total including 35 crores cost of production and 12 crores printing and advertising costs, the fickle is also successful in impressing a huge audience base with its catching song. The movie had also earned a great amount from Satellite rights selling and Music rights, 20 crores and 5 crores respectively. However, the fact couldn’t be ignored that illegal downloads of the movies’ content had mostly adversely affected the overall BO collections of Baghi movie. Film had also done splendid 8,50,000 $ (5.90 cr) in overseas in two days and 1.63 million $(10.82 cr) over the weekend. The total overseas collections for the first week were around 17 crore rupees according to the trade analysts. Around 20% of the movie’s collection came from the international market while the other 80% collections, which was obviously the primary amount came from the domestic market. Overall the days were good for Tiger and Shraddha’s movie till now. this is the best Indian movie of action…! i have never seen this kind of action in any bollywood movie before.what a great hero,full of talent,act well,dance well & action is above all.superb movie. tune abhi dekha hi kya h yaar …. Bhaagi my life time best Indian action movie. Before this my best action movie film was akshay Kumar’s “khiladyon ka khiladi”. Action here I mean action with martial art. baghi is super movie,,,,,main toh tiger ke action ka fan ho gaya yaar..abhi maine shuru kiye hain..